Four Vietnamese fishermen have been fined between $723 and $7,234 for illegally fishing in Bruneian waters. The fishermen’s vessel was found approximately 130 nautical miles off the coast of Brunei and they were apprehended by the Royal Brunei Navy September 27, according to a statement from the country’s Ministry of Defense, China.org reported Sunday. The unnamed vessel owner, 44, was fined $7,234, while the three crew members were fined $723 each. If they are unable to pay the fine, they have to spend between one to ten months in prison. This is the second time a Vietnamese fishing vessel was apprehended by the Bruneian navy this year. 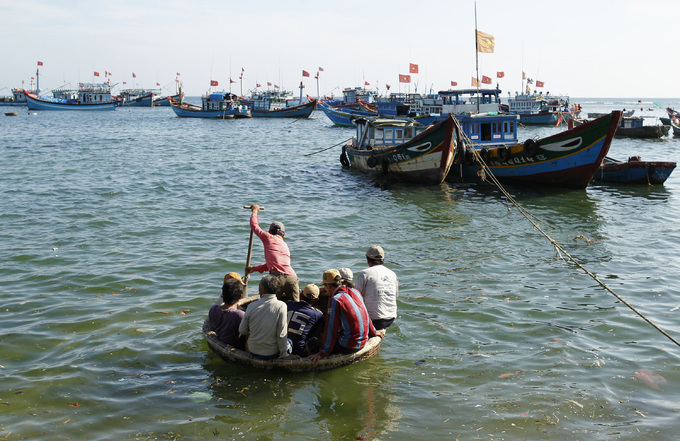 In May, 37 Vietnamese men, aged 18 to 52, were also found to be illegally fishing in Bruneian waters. Last year, the European Union slapped a "yellow card" restriction on Vietnam for illegal fishing in foreign waters, warning that it could ban seafood exports from Vietnam unless Hanoi do more to tackle the issue.